Hollis JohnsonA Papa John’s pizza. Papa John’s is surging early Tuesday following a report saying Trian Fund Management is interested in acquiring the pizza chain. The activist hedge fund contacted the pizza chain “to collect information as it explores a possible bid,” according to The Wall Street Journal. Trian owns a stake of about 13% in the burger chain Wendy’s. Watch Papa John’s trade here in real time. 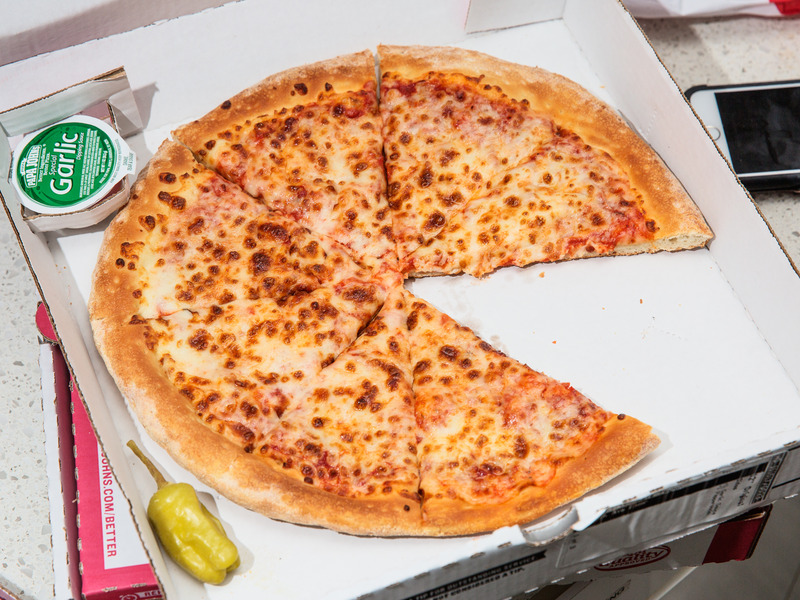 Papa John’s rallied early Tuesday following a report suggesting Trian Fund Management, the hedge fund that owns a stake of about 13% in Wendy’s, is interested in buying the pizza chain. 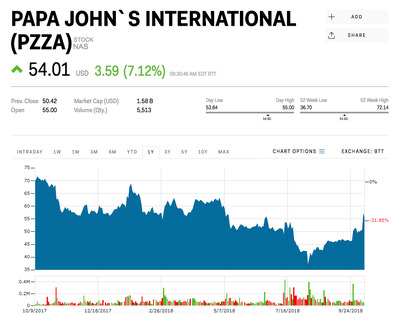 According to The Wall Street Journal, the activist hedge fund contacted the pizza chain “to collect information as it explores a possible bid.” Papa John’s shares were up about 7% shortly after Tuesday’s opening bell. 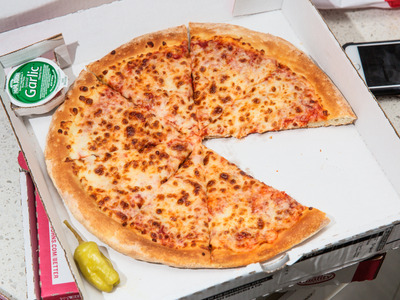 In late June, Nelson Peltz, Trian’s co-founder and Wendy’s chairman met Papa John’s founder and former CEO John Schnatter to discuss a possible deal. However, the report said there were several other bidders, including private-equity firms. In September, there were reports about Schnatter reaching out to private-equity firms in an attempt to buy back the company he founded in 1984. It is the world’s third-largest pizza delivery chain, with more than 5,000 locations in 45 countries. Schnatter, who still owns nearly a third of the company, resigned from its board in July after admitting to making controversial comments on a company conference call in May. Since then Papa John’s enacted a “poison pill” provision designed to prevent him from taking over the company by buying its stock on the open market. The plan takes effect “if a person or group (including a group of persons who are acting in concert with each other) acquires beneficial ownership of 15% or more” of the company’s common stock, according to the company’s press release. Papa John’s was down 6% this year through Monday.